I’ll be the first to admit it, when I was formal dress shopping, I wanted something white. I felt that white was super elegant and pretty but then thought maybe it might look too ‘wedding’ like for a simple school formal. So, I then ventured away from the white and chose on a pink dress instead. But here I am, looking at wedding dress inspiration just for fun. But seriously, aren’t wedding dresses just the best to look at when you’re procrastinating?! The different patterns, styles and cuts are so great to look through! From designers to simple dresses, I want them all! When I found about the website Cocomelody, I was truly shocked at not only the different patterns and styles they have but also their prices! 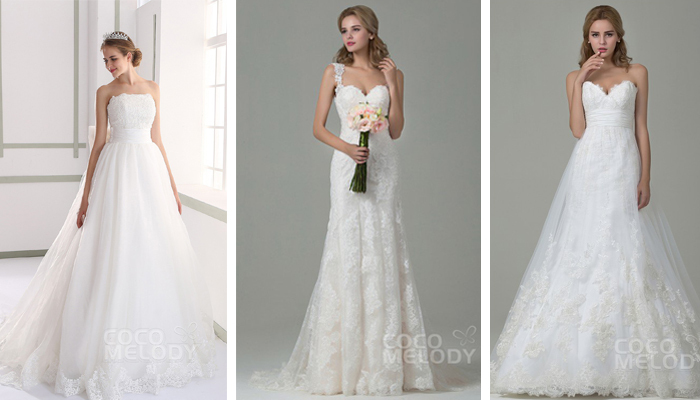 They have incredible dresses from designer wedding dresses to simple and elegant dresses. I had a great time browsing through their websites and picking out a few of my favourites from there! So, here’s some wedding dress inspiration for you all! These dresses are superrrrr pretty! I love the patterns of them all and how simple yet elegant they are. The back of the first dress (natural tulle ivory dress) is super pretty – it’s got a massive bow! And the second dress (sheath column backless dress) is backless and I just love how the dress sits. If you hop onto their website, you can browse through their incredible range of dresses from simple and elegant to even specialised beach wedding dresses! I know white is traditional, but I just thought these dresses were so different and unique. Definitely stand out dresses! I’m not too sure if these are all actual wedding dresses but I think it’s a great idea for something different. 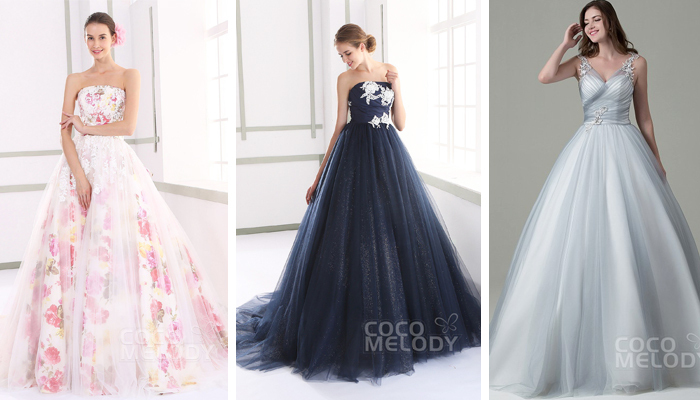 Even if these aren’t actual wedding dresses, they’d be great as bridesmaid dresses! *Sponsored post. All opinions, thoughts and views are of my own. Read my full disclaimer here.